George S Wark started in Home Building on a part time basis after hours and on weekends in 1949. Finally in 1955 he decided to pursue Home building full time on his own account starting with a $700 down payment for a $10,000 two acre property. The property was subdivided into eleven lots and construction followed on this property and others until 1960, when a decision was made to formally incorporate and switch to the ICI Sector. Upon the retirement in 1994 of George Wark, his three sons took over the “reins” and successfully continued positive growth. In 2000, Craig Hambly became a partner and assumed the role of Vice-President, bringing with him the experience of multiple generations of his family in the construction industry. After 40 years with the company, George W. Wark retired December 31st, 2016. G. S. Wark continues as an employee owned firm with the appointment of Craig Hambly as President, John Morrone as Vice-President and John Wark as Secretary-Treasurer. G.S. Wark has successfully completed many highly visible projects constructed under various construction delivery methods. Mr. Hambly oversees all construction activities, while insisting on “Day to Day” contact with staff; to ensure all client and company standards are met.  Our Estimators, Project Managers and Superintendents have achieved Gold Seal Certification status with OGCA. Our company has built a solid reputation for quality construction by tailoring our services to specific building and administrative needs of each client. Our long history of over 60 years of experience in General Contracting, Construction/Project Management and Design Build has provided us with a complete understanding of the complexities and the requirements of each process. In some cases no one method perfectly fits the projects. In such cases, we will customize a delivery process that is best suited to the customer’s needs and the goals of that project.